I am very lucky in that I get to try lots of different make-up and skincare. I like to try things properly so sometimes that means I get a bit of a backlog of products patiently waiting for their turn. I am however vowing to do more regular reviews – so here it goes! Living Nature is a brand that I have seen many times in places like Whole Foods but never had the opportunity to try until recently when a few of their products landed in my ‘testing tray’. The Gentle Make-up Remover has definitely made it into my personal skin regime. As it says on the bottle it gently removes eye make-up with ease – not much rubbing required – not that we should rub the delicate eye area anyway…. It soothes them too – it contains euphrasia (eyebright) so is great for sensitivity, especially with hayfever season looming. I recently used the Summer Bronze Pressed Powder and Luminous Powder on a shoot and really liked both of them. They are both going to stay in the kit I’m pleased to say. The Summer Bronze has a soft sheen and slight shimmer, it went on the skin really nicely and stayed well too. 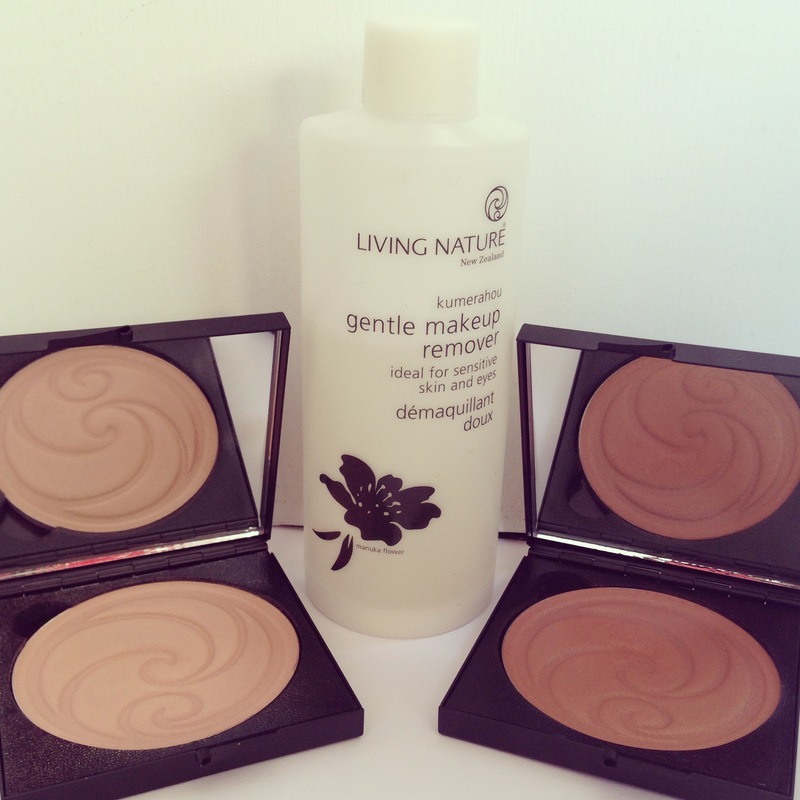 Bronzers can often be too orange or red but this one is a good universal, very wearable natural colour. It has a very slight pink feel to it which helps give a healthy natural glow, it would be good for lots of skin tones. I quite like it that mica isn’t the first ingredient which is often the case in natural products as this can sometimes make them too shimmery or shiny. I wouldn’t use loose talc on myself but when it is clean of contaminants and in this form, I’m happy to use it. The powders contain squalane (derived from olives) and other vegetable oils so are creamier and less ‘powdery’. They blend well and sit nicely on the skin – use a nice big brush to apply both. I’m still trying some other bits – the Soft Lights Illuminating Foundation is very lightweight with minimal coverage but gives skin a really nice glow. It has a very slight sparkle so maybe not so good for an oily skin as you don’t want anymore shine. I think it could be really nice mixed in with other foundations to brighten them up. The mascara gives a natural finish – I don’t think you could get a full lash from it but still playing along with a concealer, eyeshadow and pencil. So far so good though, I’m impressed with the New Zealand brand – will try more I’m sure! Next Post Ilia Jump Tinted Lip Conditioner..